Everybody Walk the Dinosaur - Be your best teacher! Each school year I have a new “theme” for my classroom. This year I went with the theme of DINOSAUR! Jurassic Park is one of my favorite movies and green is my favorite color so it was a natural choice for me! I have a perfect google classroom dinosaur theme banner available! They are all available for purchase in my TPT store! 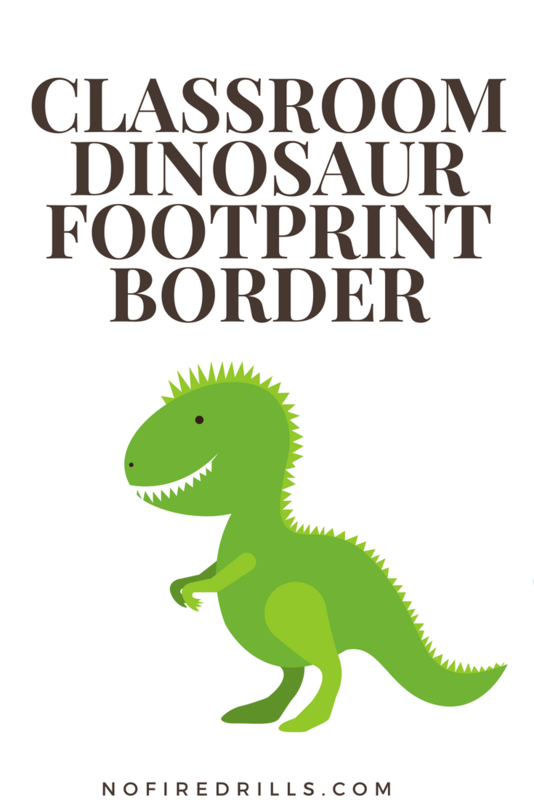 The fun dinosaur “footprint” borders come as a set for your classroom! Set includes 5 types in 5 colors – all png files with transparent backgrounds. I have included both portrait and landscape versions. Find it here! Let me know what you think of my dinosaur border and animations. Do you DIG it? Previous Post Send in the Interactive Word Cloud!